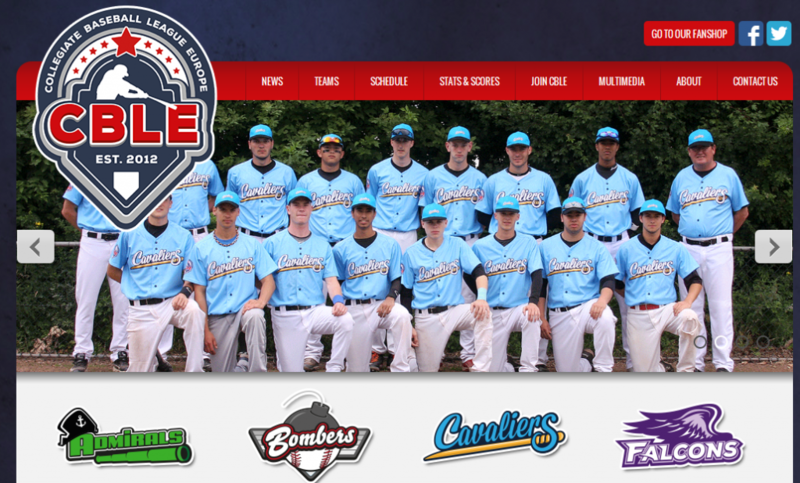 The Collegiate Baseball League Europe (CBLE), a wood bat summer league for talented players inspired after their models in the US like the Cape Code League or Northwoods League, has launched their new website. Visit www.cble.org to check it out. After two years based in Oosterhout, Netherlands, the CBLE is supposed to transform from a one-week league to a four-week league. From July 7 to 25, 2014 the players of the Falcons, Admirals, Bombers and Cavaliers will square off for the league title. Besides Oosterhout, which will host the final week, London (Great Britain), Barcelona/Gijon (Spain) and La Rochelle (France) are tentatively scheduled to host the summer league. Players can apply to play in the CBLE through the league website. Teams have up to 18 players on their rosters selected through a draft next spring.